I’m sure it’s the same in most towns, the pressure on parking increases, neighbourly tensions rise and then this happens. The house on the right want to convert their front garden into a parking space but there’s a tree in the way. The council resist but eventually the tree comes down. There’s another like this 50m away. This doesn’t create any additional spaces because the white car won’t be able to park there in the future; it just means ‘their space’ is reserved. 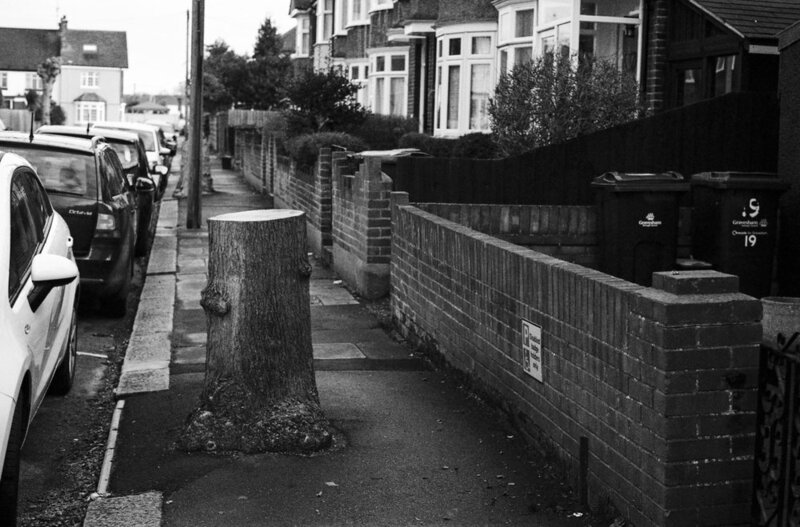 I understand the problem but soon we won't have any tree-lined streets.